It’s the most wonderful time of the year! 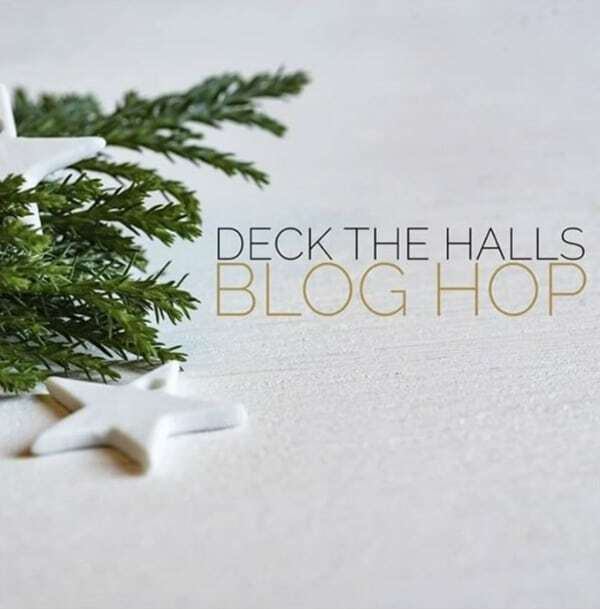 I’m honored to be joining some other bloggers today for a Deck the Halls Blog Hop. You can visit the other talented bloggers at the end of this post. 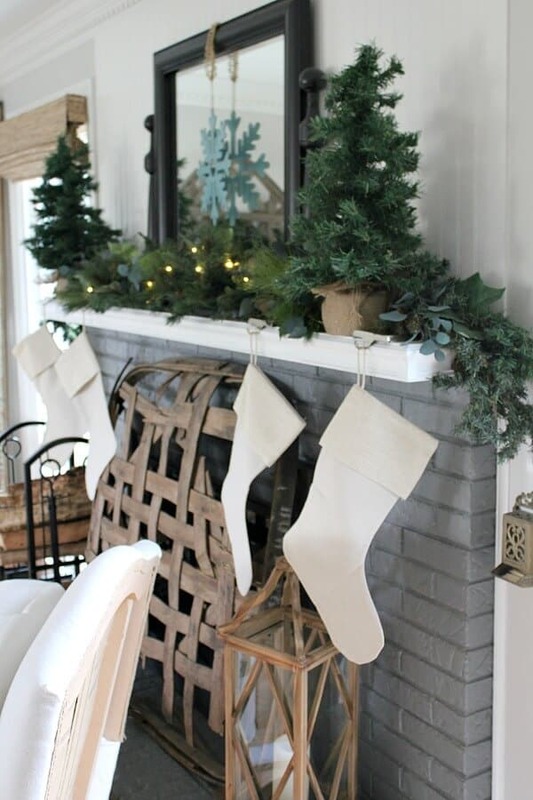 Grab a cup of your favorite hot beverage and cozy up while I show you how I created a Simple Farmhouse Christmas Mantel. You can easily pull this together! 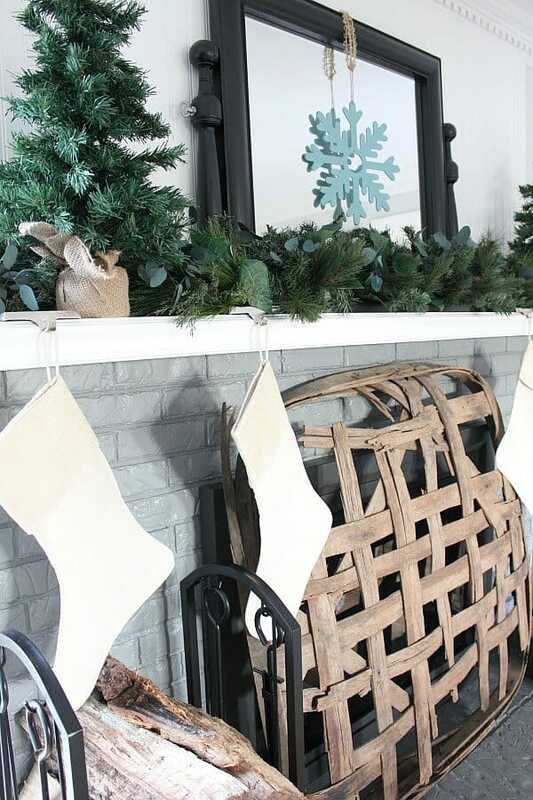 Last year, my decor was all about buffalo check, but this year, I wanted something different. Something less busy. Also, I wanted this to be budget friendly, so that means using what I had on hand. Links are provided for your convenience – While it may help me grab a cup of coffee, no cost charges back to you. Read my full disclosure here. I hung a wooden snowflake on my mirror. 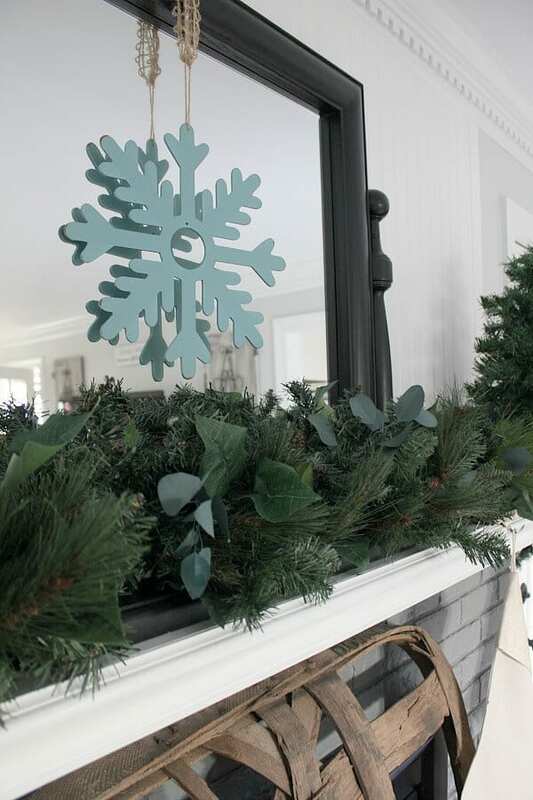 Since I am reusing old decor, I mixed up garland and greenery I had on hand to create a layered look. 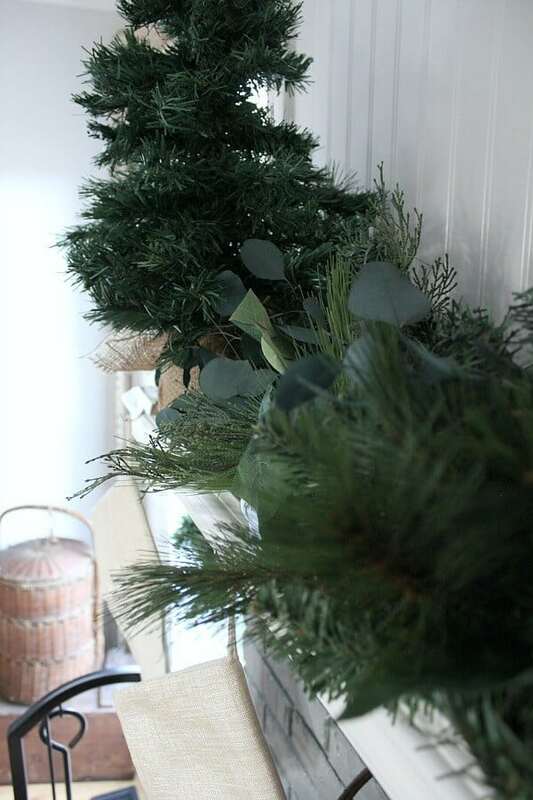 By mixing different faux evergreen with sprigs of eucalyptus, it made a gorgeous variegated look. 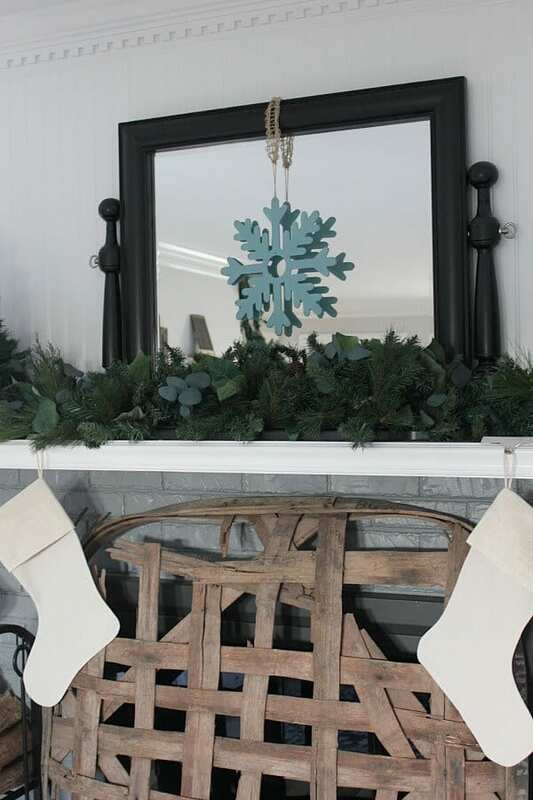 I added two mini burlap wrapped Christmas Trees to frame in the mirror. 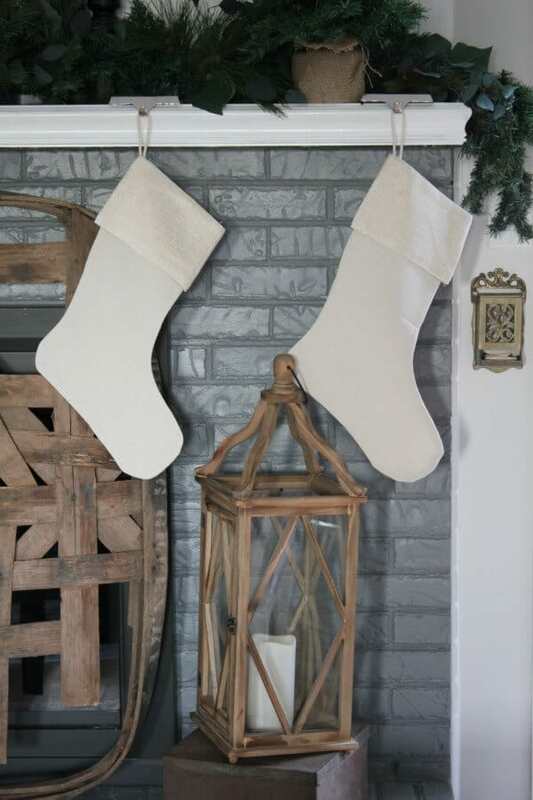 I found this set of four burlap Christmas Stockings from Amazon for less than $20! 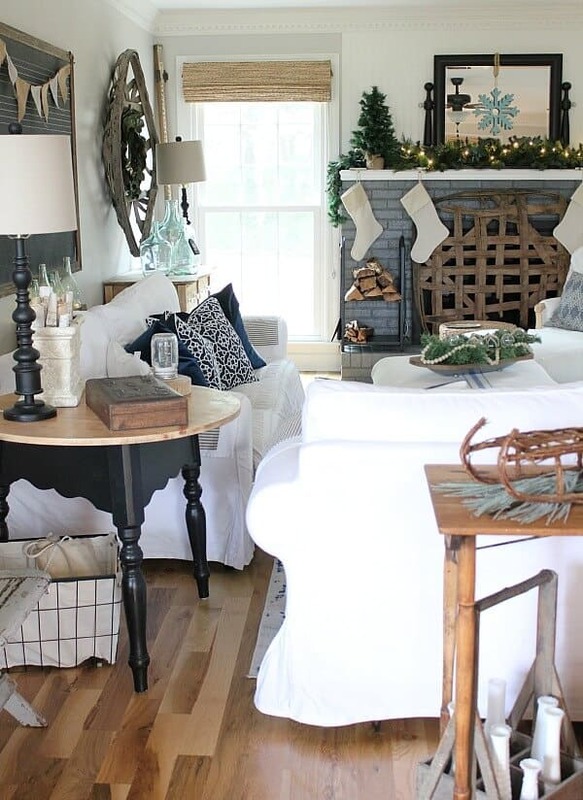 A wooden lantern on one side of the fireplace adds warmth. 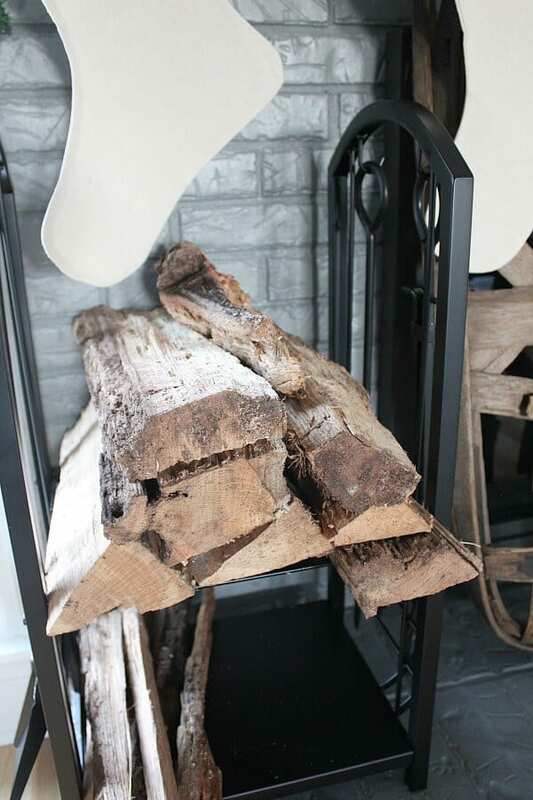 One new addition to our fireplace is this gorgeous wrought iron firewood stand. I love how the wood looks against my tobacco basket used as a fireplace screen. I love the simplicity of this look, but I added one more easy detail. 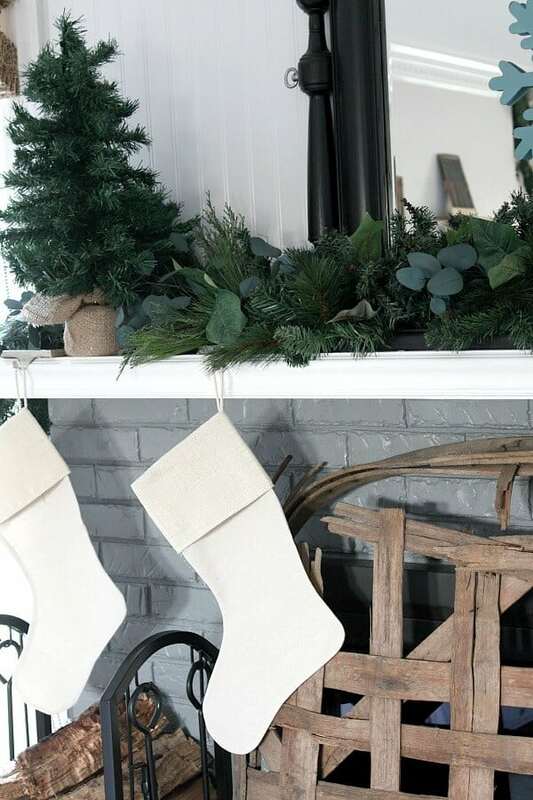 Finally, a strand of battery operated lights adds coziness to make this simple farmhouse Christmas mantel a perfect, understated centerpiece. I added the same type of strand to my vintage bottles behind my sofa. My blue bottles compliment the blue snowflake on my mirror. Now I have a simple and cozy spot to sit by the fire in my deconstructed armchair. Since we are all stocked up on firewood, and have the pup to sit with us in front of the roaring fire, the cold weather is welcome anytime! 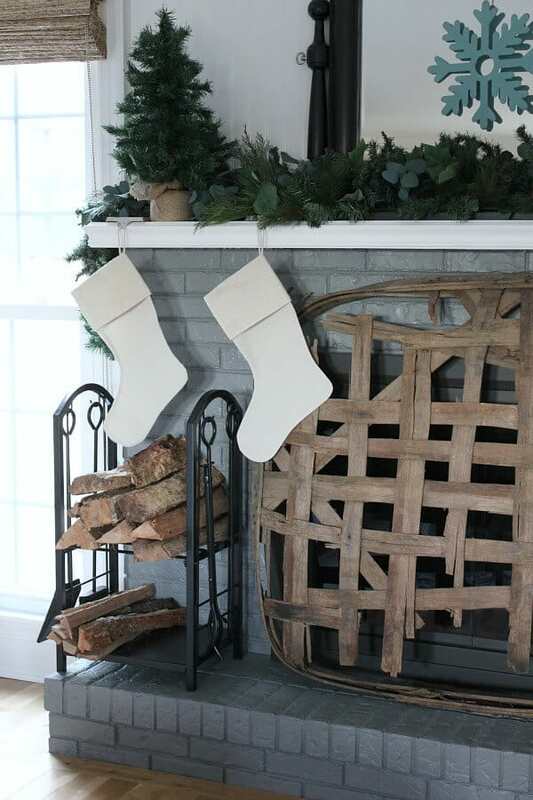 Thank you so much for taking the time to check out my simple Farmhouse Christmas mantel. 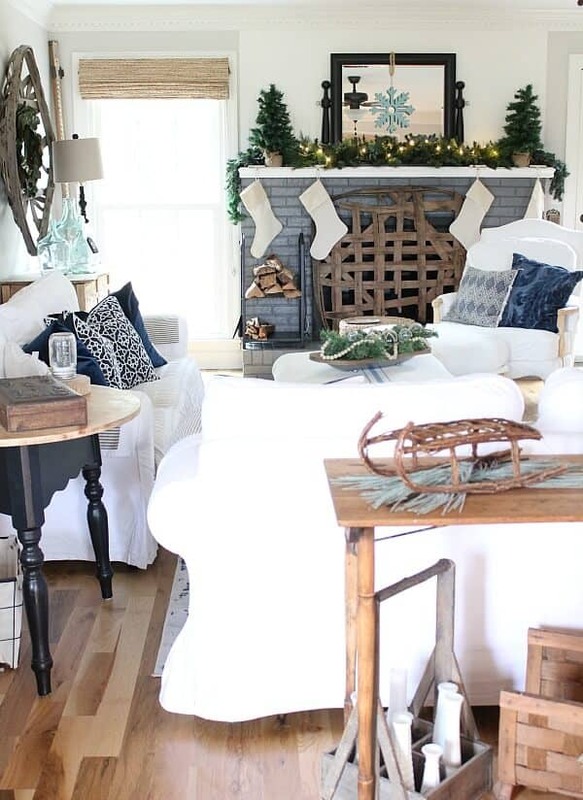 For more gorgeous inspiration, be sure to visit the other bloggers in this hop below! Previous Post: « Vintage Farmhouse Powder Room – for less than $500! 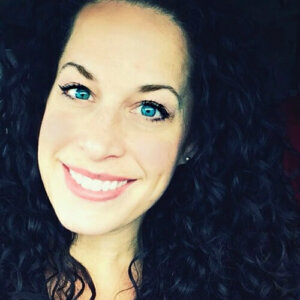 So beautiful, Jen! 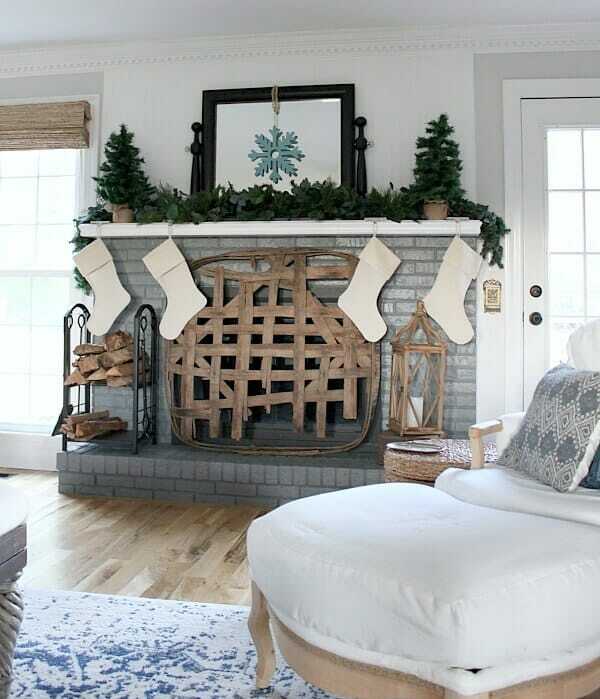 I love all the greenery on your mantle. Your tobacco basket is gorgeous. 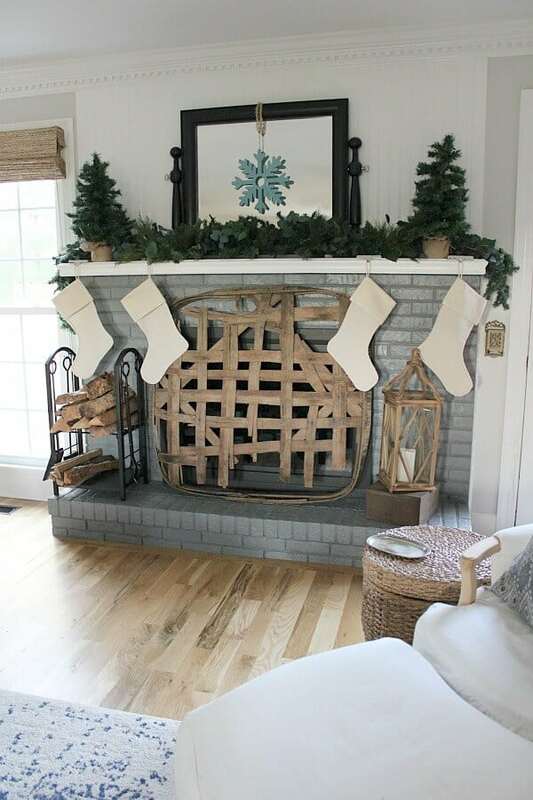 So clever to use it as a fireplace screen. This is absolutely gorgeous! 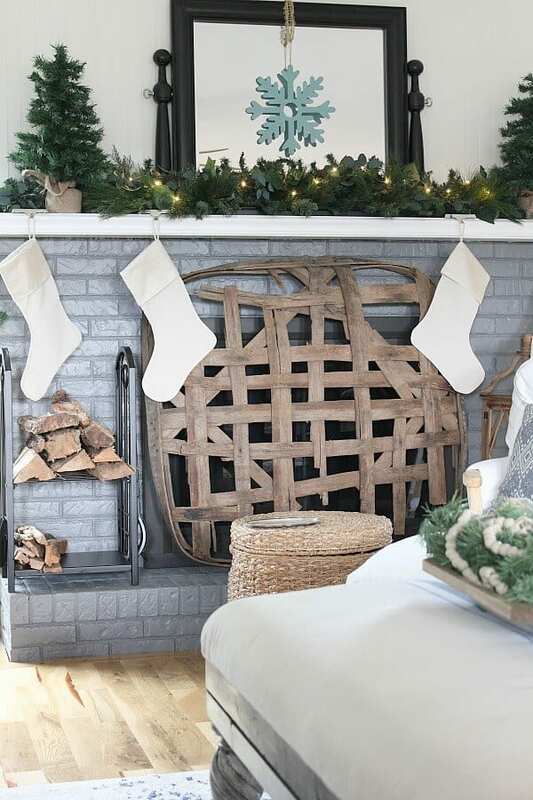 I love the tobacco basket against the fireplace, and well, every last detail! So happy to have been a part of this tour with you! Jen this is so beautiful! 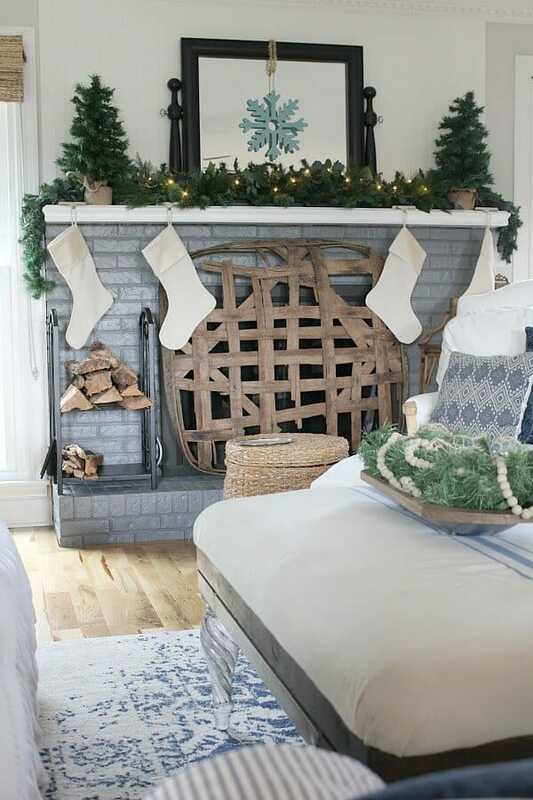 I think my favorite part is the tobacco basket as firescreen. Really lovely. Love the simplicity and colors you went with Jen! 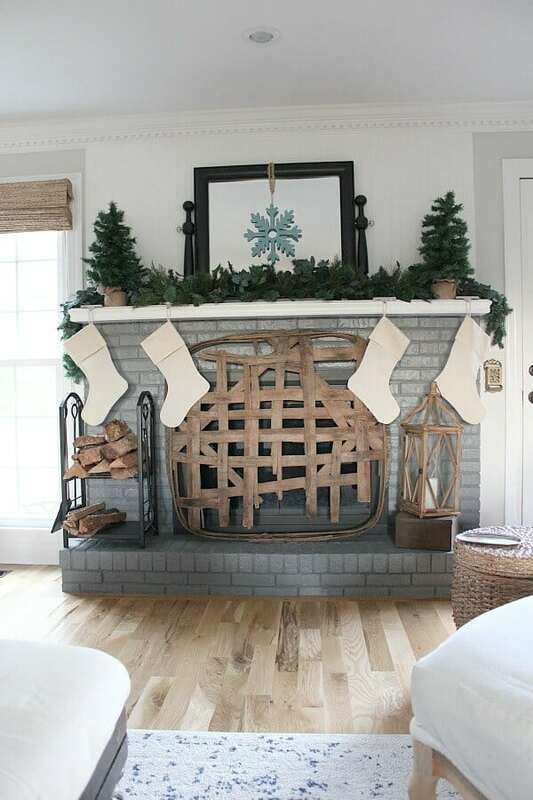 What a pretty Christmas mantel! 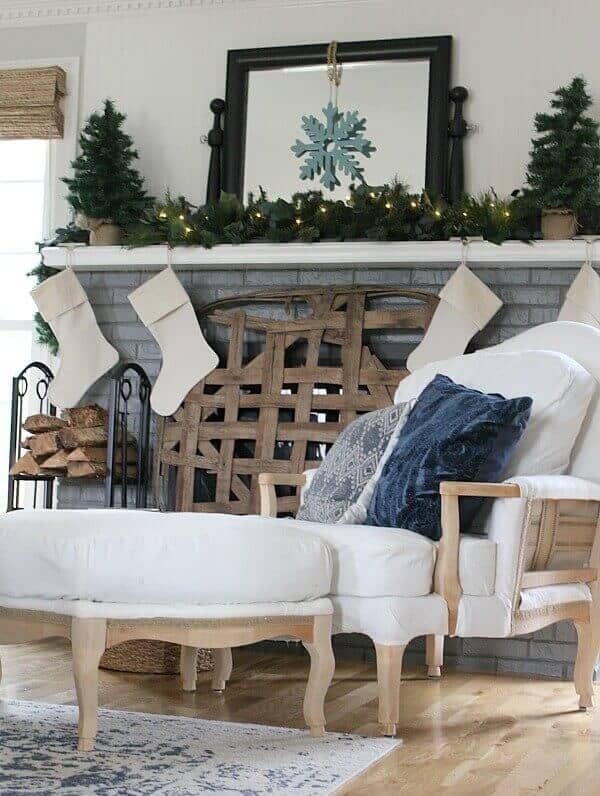 I loved looking at all your holiday decor – it’s motivating me to get mine up! Thank you so much Sara! I can’t wait to see what incredible decor you share! Thank you Laura – I have a thing for tobacco baskets! Me too Iris! I loved getting to know you better and being inspired by your talent! Thank you Brandi! You are so sweet! Jen,this is so pretty! 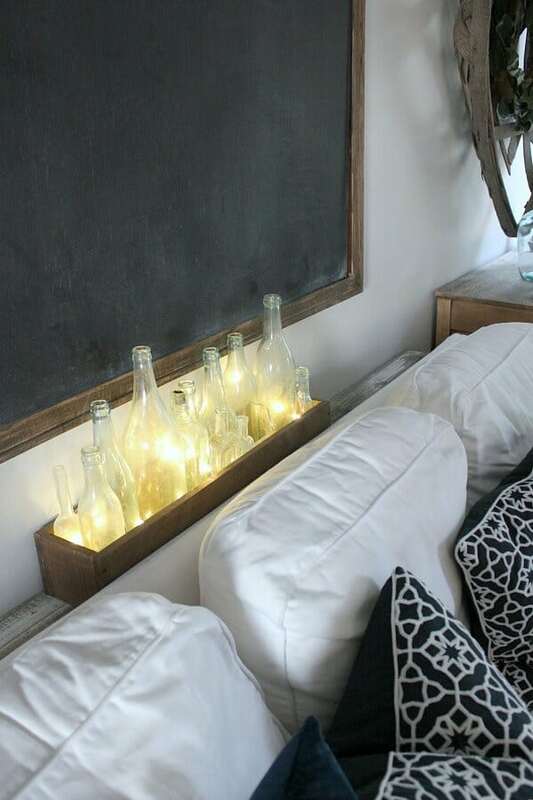 I love simple and creative decor and you pulled that off effortlessly here! Thank you so much for sharing your home with us! Thank you so much for inviting me Lea! 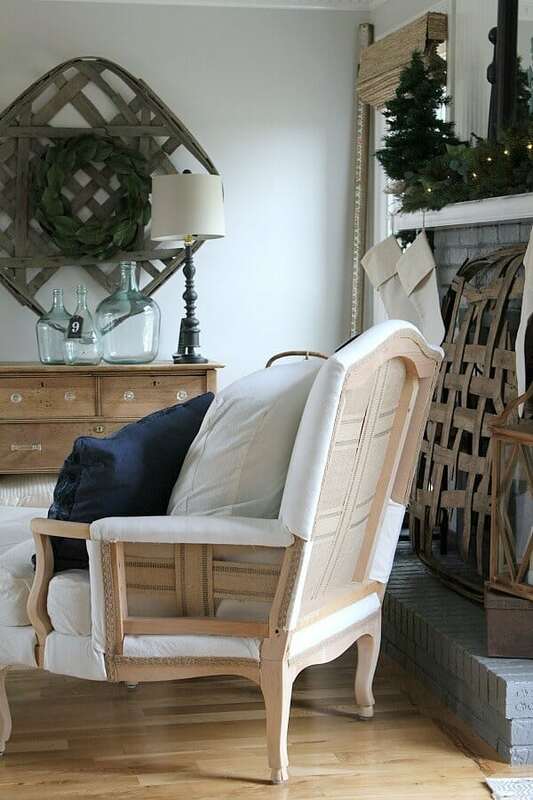 I so enjoyed being a part of this home tour! 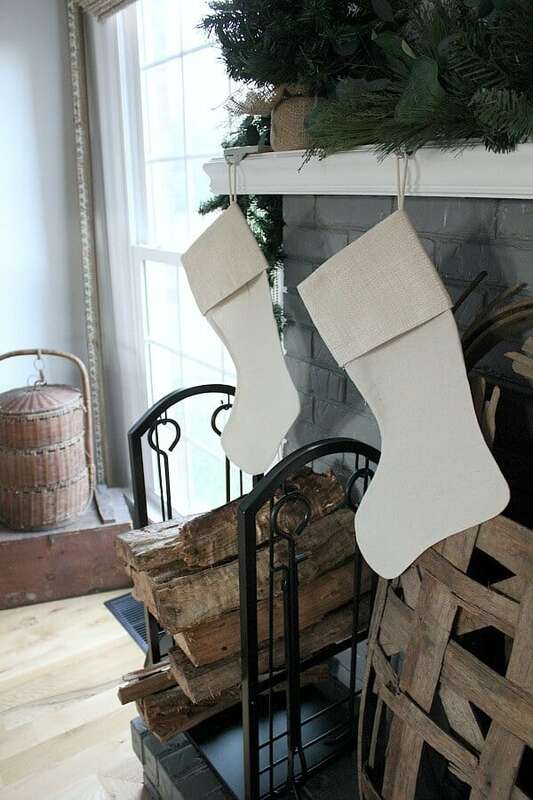 I am in love with those burlap Christmas stockings! 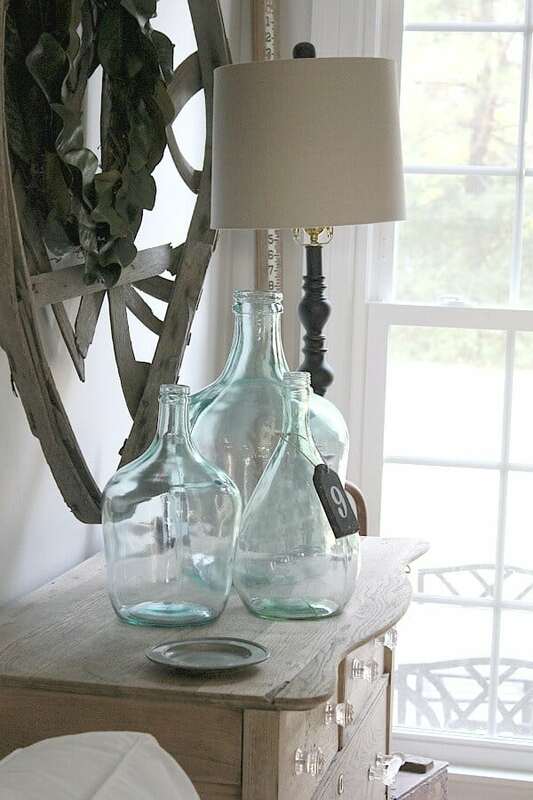 Simple and beautiful and classic farmhouse style! Jen I loved how you layered greenery to your garland. I bet the eucalyptus smells amazing too! Happy holidays! Thank you Oscar! It was fun doing this blog hop with you! All so beautiful, peaceful and cozy! 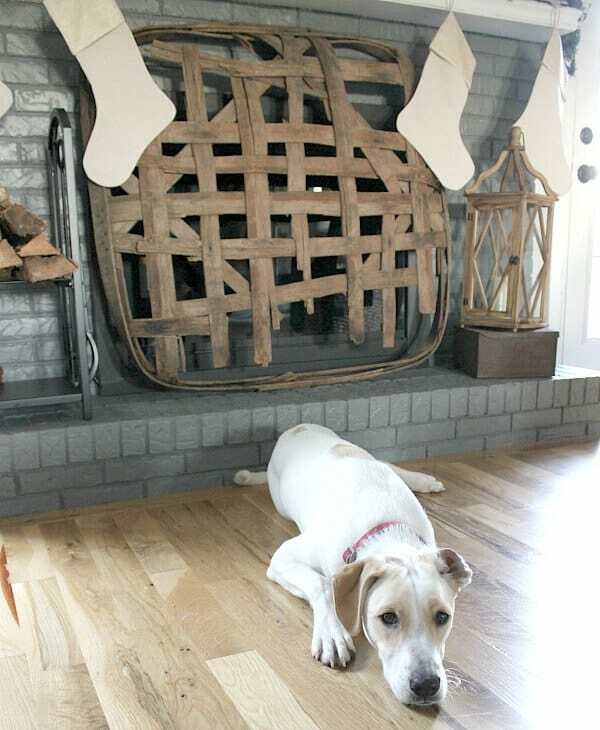 And Ollie by the fireplace tops it all off! lovely!